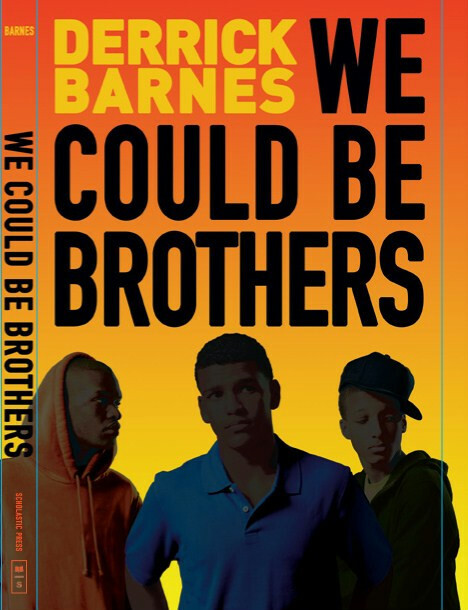 We Could Be Brothers (Scholastic Press, 2010), by Derrick Barnes, for ages 12 to 14. Three boys on a collision course that intersect, and will change their lives forever. The Cruisers (Scholastic Press, 2010), by Walter Dean Myers, ages 9 – 12. Four kids at a Gifted and Talented school in Harlem are given a charge while studying the Civil War — negotiate a peace between the North and the South before the war breaks out. Through the use of an alternative school newspaper, the friends learn the power to keep peace using the written word, but they also learn how words can be used as weapons, too. 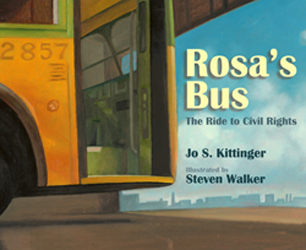 Rosa’s Bus: The Ride to Civil Rights, written by Jo S. Kittinger, illustrated by Steven Walker (Boyds Mills Press, 2010). To be honest, when I first received this book, I didn’t read it. I sat it aside, thinking, Hm. No disrespect, but we already know the Rosa Parks story because there are at least five-hundred-and-sixty-thousand-million picture books on this subject. Can we learn about someone else, too? But before posting this blog, I read the book, and I was pleasantly surprised. It’s the wonderful story of Rosa Parks, yes. But this version is just as much about the bus where Rosa staged her protest. Bus #2857. Have you ever wondered if the the walls could talk what they would say? What stories they might behold? Think about it, Rosa’s bus, now on permanent display at the Henry Ford Museum, Dearborn Michigan, has seen a lot of history. Fascinating book with a unique point of view. All Aboard! 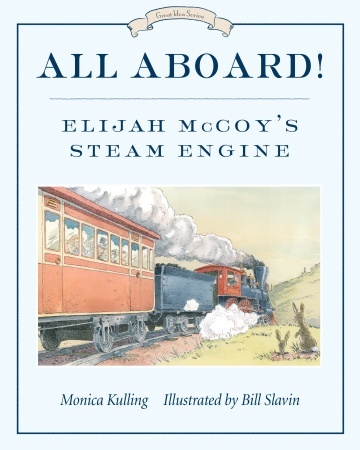 Elijah McCoy’s Steam Engine (Tundra Books, 2010), written by Monica Kulling and illustrated by Bill Slavin. Elijah McCoy, the son of slaves, studied abroad. In Scotland, he learned all about how to design and build engines. But back home, for a Black man, all that learning didn’t mean a thing. Elijah took a job shoveling coal into a train’s firebox. But that didn’t stop the inventor from doing what he did best — inventing! Elijah McCoy invented an oil cup that made train travel faster because the train didn’t have to be stopped to be oiled. And safer for those who had to oil it. The perfect story for your inventor in the making. 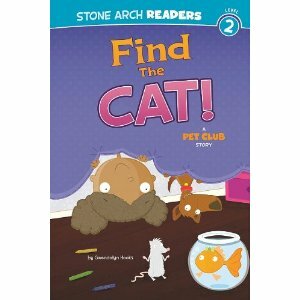 For the early reader, author Gwendolyn Hooks offers her PET CLUB stories (Stone Arch Books). Pets at the Party, The Noisy Night, Find the Cat, The Best Trick. The stories are easy to read (less than 300 words), and are designed to provide enjoyable reading while developing vocabulary and comprehension. Fun illustrations, too! My apologies for the quick post, which probably suffers from all types of gramatical and spelling issues — or other unfortunates — but again, I’m under the time crunch.